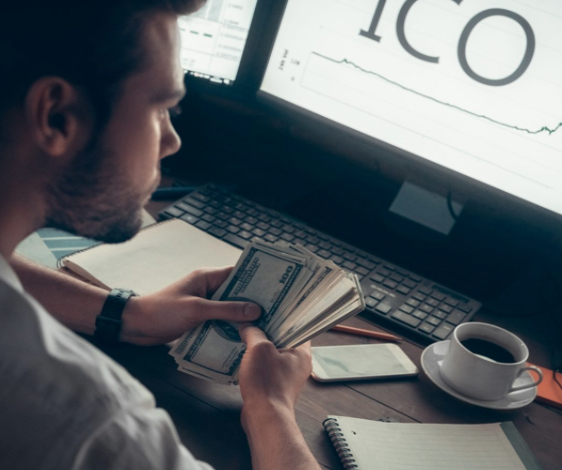 Share the post "Creating ICO tokens is easy, but trading may never happen"
Investors with a high tolerance for risk or with no knowledge of what they were getting into jumped into the Initial Coin Offering (ICO) arena with both feet, obviously hoping to get rich quick in this crypto form of roulette. Unfortunately, many of these blockchain development projects never got off the ground, simply failed without ever delivering a product to the marketplace, or were determined to be outright frauds. To date, the ICO space is unregulated and behaves like the “Wild, Wild West” with no sheriff in town. Many words of wisdom in the form of maxims come to mind: Buyer beware; You get what you pay for; or Beauty is in the eye of the beholder. Whichever one you are mindful of, it is also best to remember that if it sounds to good to be true, then it probably is. Due to the high risk involved and the lack of good information, an entire cottage industry of websites, blogs, and chat rooms have sprung up on the Internet to assist the uninformed public about ICOs. It is very easy to get caught up in the hype, if you only peruse a promoter’s proprietary website. Let caution be your guide. Much more due diligence is required than what you may think is adequate, based on prior experiences. The one phrase, however, that actually has its roots in the ICO playground is: “Creating a Token is Easy. Listing it is Hard.” This bit of wisdom may come as a surprise to many that do not understand how ICO projects work from beginning to end. The confusion arises because an ICO is not an IPO, its equivalent in the equity world. In an Initial Public Offering (IPO), shares are sold to the public and to privileged inside investors, but one requirement before these shares are sold is that they must be listed on an exchange. In an ICO, you receive “tokens” that are not linked to ownership and that you hope will gain enough support and traction so that an exchange will trade them one day. Many words of wisdom in the form of maxims come to mind: Buyer beware; You get what you pay for; or Beauty is in the eye of the beholder. Whichever one you are mindful of, it is also best to remember that if it sounds to good to be true, then it probably is. Due to the high risk involved and the lack of good information, an entire cottage industry of websites, blogs, and chat rooms have sprung up on the Internet to assist the uninformed public about ICOs. It is very easy to get caught up in the hype, if you only peruse a promoter’s proprietary website. Let caution be your guide. Much more due diligence is required than what you may think is adequate, based on prior expereinces. Even if you are lucky enough to get your ICO token listed, liquidity will become an immediate problem, and there may be many more problems down the line. Do not assume that it will be smooth sailing after your token becomes tradable. Exchanges dictate a number of rules that must be followed, and if they are not satisfied by how the ICO and its management behave, they have the power to de-list your token in an instant. At that point, you can make a withdrawal, perhaps, to your “cold” wallet device for safekeeping, until the day comes that you can sell your tokens… or not! Incase you are curious, there is a website, Deadcoins.com, that provides a complete list of ICO exit scams and extinct coins. There are already 250 cryptocurrency exchanges in operation across the globe with plans for many more to come on stream in the years to come. With so many exchanges, one would think that getting an ICO token listed would be an easy task to accomplish. There are several consulting firms that can help you create an ICO from start to finish, but those steps do not include a listing on an exchange, a major step necessary to gaining acceptance as a token worthy of appreciation. There are decentralized exchanges (DEXes) that may help, but these companies are notorious for low volume and even lower liquidity, earning them the title of the “shadowlands”. What does it take to persuade a reputable exchange to trade your ICO token? Money is the simple, but not complete, answer. Yes, there are large upfront fees that can be in the millions of dollars and can vary widely. These fees are not only to cover costs, but also to ensure that the ICO management team means business. To begin with, the ICO needs to sell out its planned subscription. Many ICOs fail to raise over $100,000. These firms need not apply. One ICO rating company reported that, “Only 22% of ICOs that completed in Q1 of this year (2018) were able to have their token listed”. Fees can vary from as little as $100,000 to as high as $7 million, which Binance, the largest exchange in the system, can command. Why the wide variance? The last thing an exchange needs is for a fraudulent ICO to appear on its listings. It has occurred on occasion, leading to an immediate delisting, but the harm had been done. Due to the lengths of security and due diligence checks required, it can take up to 21 days before trading can be activated. There may be any number of other checks and balances, but a heavy fee does discourage the “wannabes” with weak business plans. Reputational risk looms large in the crypto exchange kingdom. Even a hint of fraud or lax security controls can send customers fleeing to a competitor. No exchange wants to be associated with any ICO that may come under regulatory scrutiny, whether it be for a pump-and-dump scheme to manipulate prices, be deemed to be a security and in violation of related laws, or issue marketing materials that do not conform to the norm in the industry. There are many pitfalls that must be avoided, and for these reasons, many ICO managers want to be sure of their product development and that there is ample demand for its token, before even considering have its token listed. Any other situation that might be determined by the platform deemed risky for its customers or its reputation. As you can see, exchanges do not take lightly their responsibility to protect the public and thereby ensure that their reputation remains intact. There is also a substantial cost to sustain this ongoing monitoring function, another reason that “entrance fees” are as high as they are. Depending upon the severity of the infraction, delisting can occur immediately, but typically, offenders are first warned and given a period to return to compliance, much as would be the case with a regulator. If corrections are not made, a firm date is set, and token holders are forewarned of events to come. ICOs have been the rage among many investors for the past two years. Many fortunes have been made, and many have been lost. The casualty rate of ICOs is very high, but development efforts continue, and the funding mechanism, often under attack by regulators, has weathered storm after storm. Trying to pick winners before the “race” begins requires a great deal of due diligence, and luck. The odds are stacked against you, accepting that one in ten of these ventures may succeed materially. Before you put your money on the line, be sure to check with what management’s opinion is regarding listing on an exchange, what they are prepared to spend, or how long they intend to wait before making an attempt. The liquidity of your investment depends on such things.